A positive assessment for Burkina Faso: the structural transformation of the economy, the development of human capital and the reform of the State are underway! OUAGADOUGOU, Burkina Faso, 4 July 2018,- /African Media Agency (AMA)/-The President of the Republic of Burkina Faso, Marc Roch Christian Kaboré, who was democratically elected in November 2015 and inaugurated the following month, has assessed the results of his government after two and a half years of his five-year term at the head of the country. President Kaboré was able to impose a policy that broke with the old regime by developing a new societal project that aims to establish a rule of law in Burkina Faso through institutional reform and the construction of citizenship, and to proceed with the economic and social transformation of the country. His presidential programme is set out in the National Plan for Economic and Social Development (PNDES) adopted in 2016 and is structured around three priorities: state reforms, human capital and the development of economic growth sectors. In these three major projects, the Head of State has set himself priority objectives in all key sectors by putting in place emergency measures to boost growth, initiate socio-economic change and lay the foundations for new governance. The Head of State’s commitments have resulted in significant progress in all areas. Burkina Faso is doing better economically than two years ago. 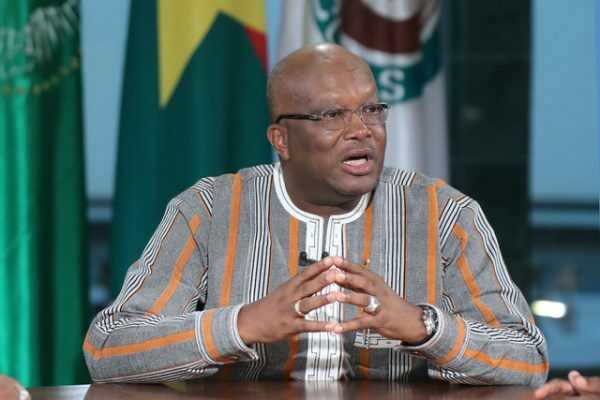 “We must congratulate ourselves because, despite a difficult context marked by insecurity and social discontent, Burkina Faso has an economic growth rate of 6.7%,” President Kaboré said during his national television interview on the mid-term review. President Kaboré’s vision maintains that “only a structural transformation of the economy will truly fight poverty by laying the foundations for sustainable and prosperous development for the nation as a whole”. 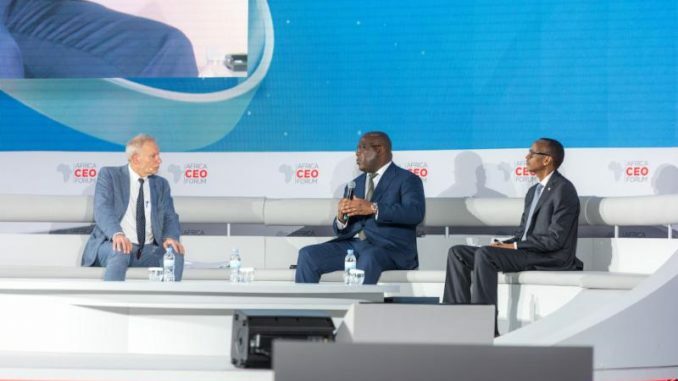 The aim is therefore to modernise agriculture, open up the country and initiate an energy and digital revolution that will positively impact all economic and social projects, while placing human capital at the heart of development to improve the living conditions and the production ability of Burkinabé citizens. Solar energy, dams, ongoing road and rail projects and the national internet backbone are structuring projects that serve as levers to boost growth sectors such as agriculture, particularly agricultural processing, with the Bagré growth pole’s creation of 25,000 jobs as an example. As regards human capital, many achievements in the fields of health, drinking water, sanitation, electrification and education have already met the President’s development objectives with concrete results, including actions in favour of young people, women and the rural areas. Free health care for women and children has made it possible to handle more than 6 million interventions for women and 10 million sick children under the age of five, therefore almost 27 million free interventions. “We must work to make effective and promote women’s rights in all areas,” said the Head of State, who is intensifying his efforts to combat inequality. The “Zero Water Drudgery” objective, one of the Head of State’s major commitments, is underway and aims to facilitate access to drinking water for 100% of Burkinabé people by 2020. Another of his strong measures concerns the recruitment of 16,000 young people in education which responds to a double objective, the creation of jobs for youth while responding to the shortage of human resources in National Education. The efforts undertaken for the young people of Burkina Faso include structuring projects, entrepreneurship and the provision of vocational training in line with the job market and promising sectors, and aim to offer real prospects for the future for the new generation. “I invite young people in Burkina Faso to focus on promising sectors and to take an interest in those that provide jobs, especially in agriculture, livestock, crafts and the information and communication technologies”, insisted President Kaboré, who encourages young people to become fully involved in the country’s development. The project drawn up by the Head of State more than two years ago brought to life every day with innovative projects and concrete results on the ground. However, he stresses that it must be built collectively in a spirit of solidarity and citizenship. “I appeal to everyone’s civic responsibility for the consolidation of democracy and progress,” the President reiterated. Efforts must continue, especially in the consolidation of the rule of law to perpetuate the democratic struggle of the Burkinabé people. State reform is the foundation on which President Kaboré has based his term; among the most important achievements is the finalisation of the draft of the New Constitution, which is scheduled to be adopted by the people by referendum in 2019. Meanwhile, many reform projects have been set in motion to improve political and economic governance, modernise the administration, improve public spending, and strengthen judicial independence and human rights. On the security and counter-terrorism front, the Head of State has shown his sense of action and resilience by strengthening the capacity of the armed forces and carrying out a series of reforms to improve the intelligence service coordination. He has made the Sahel the national priority and his advocacy and activism amongst the international community has helped rally the financial support of numerous countries for the G5 Sahel force and the PUS – Programme d’Urgence pour le Sahel. President Kaboré’s outward-looking policy and active diplomacy over the last two years has led to numerous cooperation agreements and forging of relationships with new partners such as India and China. He has taken a strong stance in favour of the emergence of the continent and the sub-region, and is resolutely focused on strengthening regional integration and participating in the consolidation of Africa’s democratic momentum. He established a government department dedicated to the diaspora, thereby reaffirming his desire to involve Burkinabè people living abroad in the country’s current transformation. “The new page in our glorious history will be a collective work.” With these words the President Kaboré emphasised that his project involves all stakeholders, all components, and every one of the particularities that make up the uniqueness of this great nation. At mid-term, the country’s democratic transition and economic and sustainable transformation are most definitely underway. While the growth rate stood at 4% in 2015, it reached 6.7% in 2017. Burkina Faso’s economic performance is also supported by its growth rate in the WAEMU zone – the country is in third position after Côte d’Ivoire and Senegal. 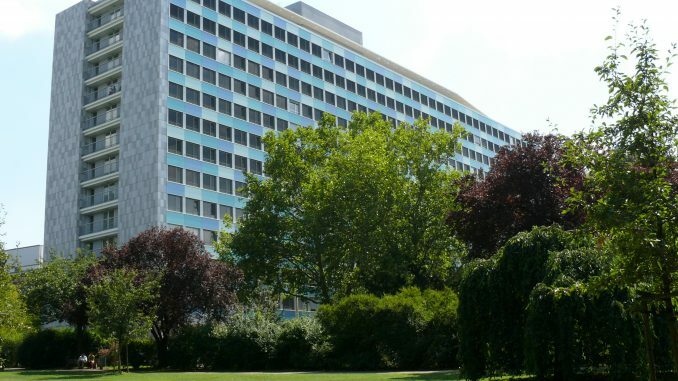 This proves that, despite the difficult security and social context, Burkina Faso has seen a return to growth, due mainly to the consolidation of public finances, government reforms to improve tax revenues and the structuring projects implemented under the PNDES. In addition, more than 183,000 salaried jobs were created in the formal sector during the first two years of the PNDES implementation, with the best performance being recorded in 2017 when the creation of salaried jobs rose by 41.3% compared to 2016. Major infrastructure projects to open up the country and unlock its economic potential are moving forward. With 1,240 km of rural tracks already improved, the presidential programme, which aims at achieving 5,000 km of rural tracks in isolated production areas, is going well. Of the 15 road projects to which the Head of State is committed to completing by the end of his term, i.e. a total of 2,042 km to be tarred, more than 32% are under construction or in the start-up phase. In addition, the railway line between Cote d’Ivoire and Burkina Faso is being rehabilitated, and the new road between Ghana and Burkina Faso should be open by 2020. Solar energy has sparked the country’s energy revolution which is now well underway. Energy production and supply increased in 2017 with the Zagtouli and Ziga solar photovoltaic plants and the completion, on the Burkina Faso side, of interconnection works between Bolgatanga in Ghana and Ouagadougou. The electrification of 40 rural communities and 385 socio-communal infrastructure facilities using photovoltaic solar systems, the electrical interconnection works between Ouagadougou and Ouahigouya, Kaya and Dori as well as Kongoussi and Djibo, and the installation of LED lamps and solar lamps are all achievements that have increased the number of fully electrified communities from 562 in 2015 to 1,347 today. The all-digital change is underway in government, public services and all key sectors of the economy. President Kaboré wants to raise Burkina Faso to the level of countries that have appropriated information technologies to build prosperous economies. Connectivity has improved significantly now that the deployment of the fibre optic network is completed, including the G-CLOUD project, which will continue during the 2018-2020 period, and the introduction of Digital Terrestrial Television, making the right to information for all a reality. Free health care for women and children has made it possible to handle more than 6 million interventions for women and treat 10 million sick children under the age of five, therefore almost 27 million free interventions. This free healthcare policy has thus made it possible to reduce the maternal and infant mortality rate in hospitals, increase the assisted childbirth rate, reduce the malaria mortality rate in young children and screen women for breast and uterine cancers. When the Universal Health Insurance Plan (UHIP) comes into effect in 2018, free health care will be deepened and extended to the entire population. The “Zero Water Drudgery” objective, one of the Head of State’s major commitments, is underway and aims to facilitate access to drinking water for 100% of Burkinabé people by 2020. Progress was recorded in 2017 with a drinking water access rate of 66.2% in rural areas and 91.7% in urban areas. Government efforts focused on the delivery and rehabilitation of a total of 22 dams, thousands of boreholes and other water reservoirs. These measures enabled it to achieve a surface water storage capacity of 6,135.35 million m3, which exceeds the target set in 2017. The state is continuing its efforts to replace straw hut schools with bricks and mortar establishments and, thus far, 1,263 classrooms out of the 4,353 expected by 2020 have already been built. Overall, the school completion rate has also improved over the last two years, especially in post-primary and secondary education, rising from 24.24% in 2016 to 32.95% between 2016 and 2017. Preventing girls from dropping out of school is another of President Kaboré’s top priorities that has had really positive results; the school dropout rate has decreased by 70% since the beginning of his term, representing a major step forward for equal opportunities for women in Burkina Faso. In his drive to improve access and entry to higher education, the government will continue to establish new universities in the various regions that offer specialist courses related to the growth sectors of these areas. A Virtual University will also be set up to address the infrastructure deficit and offer supervision and personalised follow-up to a greater number of Burkinabé students. President Kaboré has made rural areas the priority of his term and has put in place an agricultural policy that works to modernise agriculture, reduce food insecurity and develop agricultural processing. Faced with a drop in agricultural production over the last two years due, among other things, to the vagaries of climate change, efforts have been focused on improving arable land. The government supported vulnerable people in rural areas by providing them with 35,000 tons of fertiliser, 10,000 tons of seed and 22,000 units of equipment to improve yields. In order to modernise the sector, strategic infrastructure will be built, such as the Agricultural Inputs and Equipment Purchasing Centre (CAIMA), the tractor and cultivator assembly unit, a natural phosphate mineral fertiliser production unit and the establishment of the Agricultural Seed Production Company (SOPROS.A). Improving the status of women is something to which the Burkinabé Head of State is deeply committed and the reason he has been pursuing a proactive gender policy for the past two years, the aim of which is to establish a society free of all forms of inequality and inequity. In terms of tackling violence, the National Strategy for the Promotion and Protection of the Girl Child and its action plan have been ratified. Convictions of perpetrators of female genital mutilation and violence against women show that strong measures have been put in place to enforce the law and to redress the harm suffered by victims. On the issue of land, President Kaboré’s promise that 25% to 30% of the land developed by the State would be granted to women has, to date, been more than met. In terms of empowerment, women have benefited from the allocation of a budget of 200 million CFA francs from the Burkina Faso Fund for Economic and Social Development to Finance Female Entrepreneurship. In addition, the launch of the Youth and Women’s Empowerment Programme (PEA/JF) funded more than 13,000 micro-projects and 17 women’s groups involved in agro-processing. Recently, the President also promised to substantially increase the Ministry of Women’s budget and to provide FAARF with more means for financing loans. To promote young people’s employability, President Kaboré has focused on technical and vocational training by supporting professional integration, with the setting up of 46 agricultural processing units and the distribution of 2,964 kits to young people graduating from vocational training centres. Entrepreneurship is also a core priority: 19,862 microenterprises have been financed and the Burkina Startups Fund, worth 10 billion CFA francs, has been set up to support 500 innovative SMEs and SMIs and thus contributes to the creation of 10,000 direct jobs. More importance has been given to vocational training for young people so that their apprenticeship meets the needs of the national economy, something President Kaboré is deeply committed to achieving. Government action to support this new positioning has led to the establishment of 45 technical and vocational training centres, as well as the construction of vocational and scientific high schools throughout the country. Enhancing Burkina Faso’s national heritage is another of President Kaboré’s commitments. He intends to award culture a significant role in the country’s development. He has initiated actions that set a new dynamic for crafts, cultural industries, sport and tourism in reaffirming a national identity with a strong and plural culture. This culture will, in turn, generate careers for young people and jobs for women, as it is involves developing and enhancing local know-how and cultural wealth, which will promote Burkina in Africa and internationally and inspire pride in all citizens. Opinion: There Is a Smoking Fish in the $12 Million EC’s “Thank You” Note – By Kwame Okoampa-Ahoofe, Jr., Ph.D.